For Patients, Dentists, Doctors, Artists Musicians and others whose occupation requires postural distortions. How to recognize and self-treat conditions related to muscle and connective tissue imbalances, dysfunction and ischemia associated with work-related posturally-induced musculoskeletal disorders. Notice your habits and correct what you can. Start to improve your body posture to support what you do all day. Learn simple techniques for improving posture all day long. Use counter-measure stretches, tools and self treatment techniques to prevent postural distortions that could lead to pain and function problems. 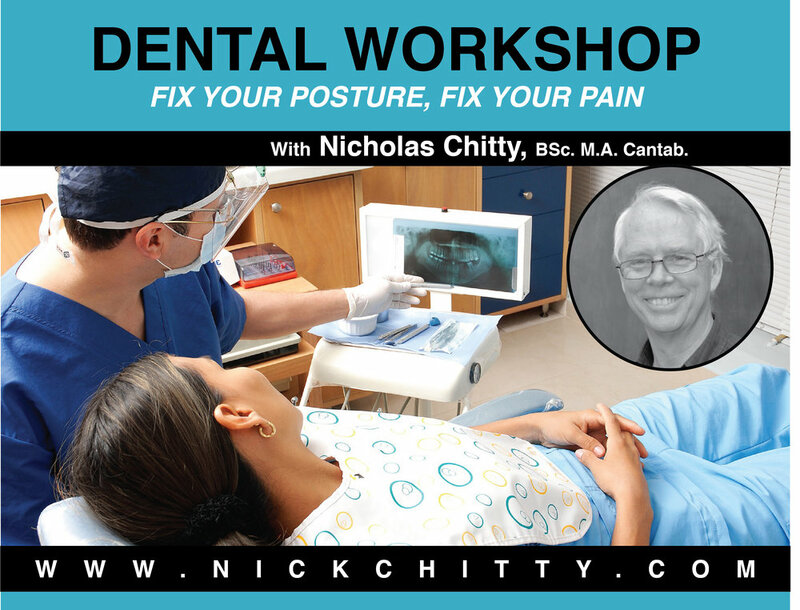 Take a simple, do-it-yourself approach to resolving some of the postural problems that lead to neck pain, back pain and hand wrist forearm problems for dentists and dental hygienists.